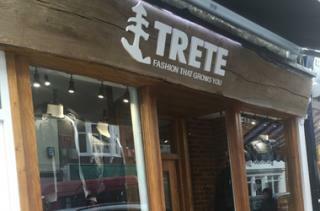 Join Trete Clothing on Friday 6th October to celebrate the 1st year anniversary of their boutique being open in St Johns Street, Bury St Edmunds. They invite you to join them for a glass of bubbles and to look through their new Autumn/Winter collection. There is also a prize draw to win a leather jacket! Throughout the event, Trete will be supporting St Nicholas Hospice. Team Trete look forward to seeing you! The shop will be open until 8.30pm. For more information, like their page on Facebook here. West Suffolk College is an ambitious vocational and academic College.